This year Sportkings Series E will have a premium back redemption program. Inside each pack you will find one premium base card that contains a letter on the back. For those collectors that collect all the letters and spell out the word “SPORTKINGS” you will be able to take part in this program. Collect the cards that spell “SPORTKINGS” once, and you will receive a 1/10 Premium Sportkings Quad Memorabilia Card. 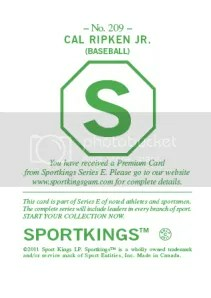 Collect the cards that spell “SPORTKINGS” twice, and you will receive a 1/1 Premium Sketch card. Collect the cards that spell “SPORTKINGS” five times, and you will receive a 1/1 Premium Art Card painted by Jared Kelley. Sportkings will need you to send in the premium base cards you’ve collected in order for you to qualify. They will continue this program until June 30, 2013. I think this is a great way to increase the value of their base cards. Sportkings base cards always carry a premium, especially when they initially hit the secondary market, but this should help the value even more. At least until the program ends. The only bad thing about this is that you will not receive your base cards back. For address information on where you should send your premium base cards, click here. Sportkings will release a checklist of all the cards involved within this program before Series E comes out. 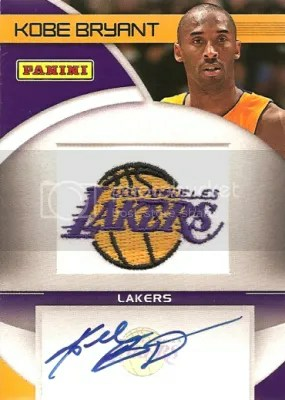 Sportkings Series E will release on May 3, 2012. This afternoon they announced the base card checklist. I’m looking forward to seeing the cut signature checklist. They have a section called “Top 50 Broadcasters” and I’m hoping former Phillies broadcaster Harry Kalas is included. 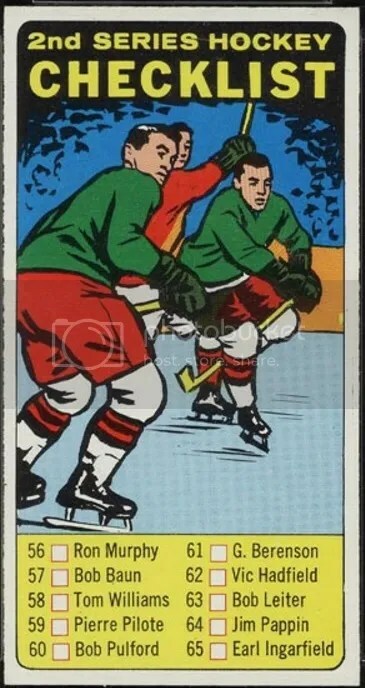 I love the artwork on these cards. 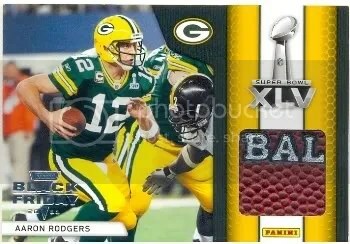 Panini has released the full checklist for their Black Friday Draft Day Materials & Patch Autographs. Take a look at the checklist for their Super Bowl promos and the checklist for their Pro Bowl promos too. There is no doubt that Panini’s Black Friday promotion was very successful. 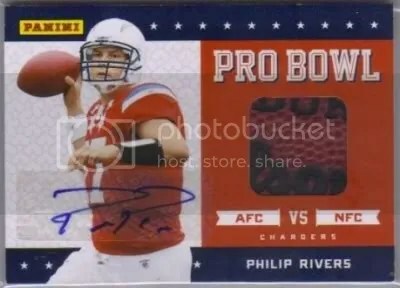 This evening, Panini released the entire checklist for the Pro Bowl relic/auto cards. Take a gander to see how many copies of the card you have were made. These packs are drying up quickly and the promotion is coming to an end. I hope they bring it back next year. 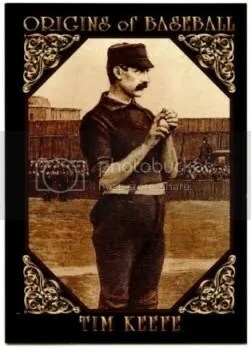 #4 Early Baseball 700 A.D.